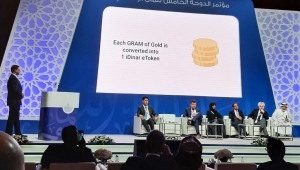 On the sidelines of the 5th International Islamic Finance Conference, the first Islamic platform for the exchange of gold-backed digital currency, I-DINAR, was launched in Doha today. The I-Din platform is an electronic symbol based on the exchange of digital currency. Its initial value of one dinar is supported against one gram of gold, which is not only a digital currency, but for a real gold eye. With the golden cover of the coin, "I-Dinar" is not only a symbol but a form of electronic gold portfolio. With the remarkable progress in the electronic exchange chain technology, i-Dinar can be used as a common denominator for executing and settling many financial transactions and exchange operations And trade. Through this currency, Qatar offers the latest e-currency concept and technology distinct from the others in the quality of technology and applied standards. In addition, the currency reflects real value that can be obtained at any time, while achieving the principle of maintaining the assets owned by the client and the speed of implementation Any financial or commercial transactions in full compliance with Islamic law. The announcement was made as a result of extensive work, studies and meetings between a team from the Qatar Financial Center, the Board of Directors of Qaf Holding Group and the Malaysian IbadahInc Foundation. The Chairman of Qaf Holding Group Khalid Al Suwaidi said that the i-dinar platform initiative is an indication of the increasing awareness and economic culture of the State of Qatar and its understanding of future changes and requirements despite all the challenges in general. This is an unprecedented achievement on the ground to develop cooperation, trade and prosperity. Economic and wealth of the Islamic world in the face of the challenges of the age and rapid digital economic development in particular. Suwaidi said Al-Suwaidi expected the new platform to achieve a great deal of resonance in the near future because it achieves two important goals. The first is to acquire a sophisticated digital currency that has confidence in customers. The second is that the currency, , Which will increase the confidence of scientists in dealing. He added that the currency in its current form has passed all stages of the test even through Islamic standards in dealing with currencies as a real currency has a real balance similar to the currency backed by a gold balance, pointing out that this currency has taken the criteria of universal acceptance and technological development in terms of accuracy and security. 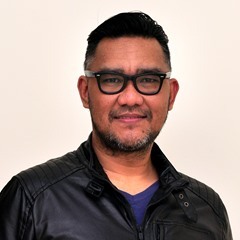 The spokesman for the Malaysian Cultivation Establishment Abbas Ali explained that the purpose of the platform was to facilitate and implement multi-product digital financial transactions that allow the trading of "i-dinar" with or for any other goods or products or coded currencies or any combination of solutions Financial instruments, as well as financial and commercial contracts from anywhere and at any time worldwide easily and conveniently. He said the new currency was a huge technological revolution in the world, being the first "mixed" digital exchange of its kind in the world, using a digital symbol supported by gold and has real value. The 5th Doha Islamic Finance Conference, held under the title "Islamic Finance and the Digital World", was launched today. The conference aims at presenting the experiences of the central banks in dealing with digital financial developments and their potential risks. Legal and technical standards and the importance of the digital economy and its role in achieving sustainable development goals. In its fifth edition, the conference focused on discussing the effects of digital development on Islamic finance, through its main interlocutor, reviewing the experiences of the central banks in light of the major changes in the world of business and finance due to the enormous and significant development of information technology. Financial institutions and banks to quickly study their future opportunities and the possibility of transition to the digital world. In its fifth edition, the conference focused on discussing the effects of digital development on Islamic finance, through its main interlocutor, reviewing the experiences of the central banks in light of the major changes in the world of business and finance due to the enormous and significant development of information technology. Financial and banking institutions to quickly examine their future opportunities and the possibility of transition to the digital world. Qatar hosted the global launch of ‘iDinar,’ the world’s first Islamic digital e-token platform, on the sidelines of the ‘5th Doha Islamic Finance Conference’ held in Doha Tuesday. 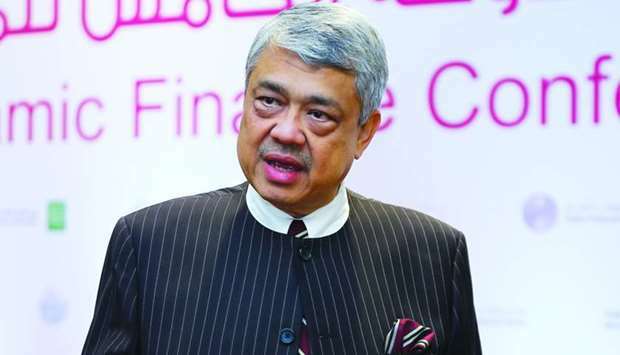 The iDinar platform is a blockchain based e-token, in which its initial value of one dinar e-token is backed by 1gm of physical gold, Ibadah Inc executive chairman Faidzan Hassan told Gulf Times on the sidelines of the launch event. “iDinar allows the advantages offered by blockchain in terms of confidentiality and ease of transfer, among others. As an exchange, we have what we call a ‘hybrid’ exchange, which is based on barter trading that is Shariah-compliant. “As a digital exchange, transactions run on real time. Ibadah also offers a market place to be able to trade stocks, shares, bonds, and sukuk, among others, as well as commodities like gold,” he said. The digital iDinar e-token serves not only as a form of digitalised gold investment portfolio, but also the advances in current blockchain technology enables the iDinar e-token to be used as a value transference and settlement denominator for exchange, trading, and payment settlements. According to Ibadah spokesperson Abbas Ali, through its incorporated company in Qatar, Ibadah has been given the principal approval by the Qatar Financial Centre (QFC) to operate the ‘iDinar eXchange’, a multi-product digital trading platform, which trades the iDinar with and against other commodities, financial instruments and products, as well as major fiat currencies globally. “This is the first hybrid digital online exchange of its kind in the world with the base denominator exchange medium being the digital, gold-backed iDinar e-token,” Ali pointed out. Hassan noted that the iDinar launch in Qatar was the result of a series of meetings with QFC CEO Yousuf Mohamed al-Jaida, QAF Holding Group chairman Khalid bin Ahmed al-Suwaidi, and Malaysia-based Ibadah Inc.
Abbas Ali, Managing Director of Ibadah Inc, providing a presentation on the details of I-Dinar, the world’s first digital e-token, which is backed by gold, on the sidelines of the opening day of the 5th Doha Islamic Finance Conference, yesterday. The world’s first Islamic Electronic Exchange Platform for digital e-token I-Dinar, which is backed by gold, was launched yesterday on the sidelines of the opening day of the 5th Doha Islamic Finance Conference. The I-Dinar Platform is a blockchain based e-token, in which its initial value of 1-Dinar e-token is backed by the value of 1 gram of gold. The digital I-Dinar e-token serves not only as a form of ‘digitalised’ gold investment portfolio, but also with the advent and advances in current block chain technology enables the I-Dinar e-token to be used as a value transference and settlement denominator for exchange, trading, and payment settlements. According to Ibadah Inc Managing Director Abbas Ali, through its incorporated company in Qatar, Ibadah Inc has been given the principal approval by QFC to operate the I-Dinar E-Exchange, a multi-product digital trading platform which trades the I-Dinar with and against other commodities, cryptocurrencies, financial instruments and products as well as major fiat currencies globally. This is the first “hybrid” digital online exchange of its kind in the world, with the base denominator exchange medium being the digital, gold backed I-Dinar e-token. As for the future development of the I-Dinar platform and the e-stock exchange, Al Suwaidi said that as part of the completion of the digital trading ecosystem, The I-Dinar platform should work to develop the role and presence of many institutions operating in the field of financial services, especially specialized banks and financial institutions, which are used to provide the optimal solutions and financial instruments necessary to conduct financial and commercial operations accurately and completely taking into consideration the criteria of acceptance globally other than the enormous technological and electronic development and speed. The idea of I-Dinar has found generous patronage and support from the first day from the Qatari establishment, including the Prime Minister and Minister of Interior, Sheikh Abdullah bin Nassir Bin Khalifa Al Thani, and QFC as well. The actual implementation of I-Dinar idea in Qatar demonstrates and reflects the progress and the cultural awareness of Qatar as well as the understanding of the future variables and requirements in spite of all the challenges in general. On the other hand, I-Dinar concept is considered an unprecedented achievement on the ground to develop the economic cooperation, trade, prosperity, and wealth to the Islamic World despite of the current challenges of rapid digital economic development in particular. The Qatari riyal or Qatari riyal (sometimes spelled rial ) is the official currency of Qatar . A riyal is divided into 100 dirhams, and its abbreviation is QR or ر.ق (in Arabic).